2 layer board of 2.88 x 1.59 inches (73.2 x 40.3 mm). Uploaded: July 23rd, 2018 19:43. 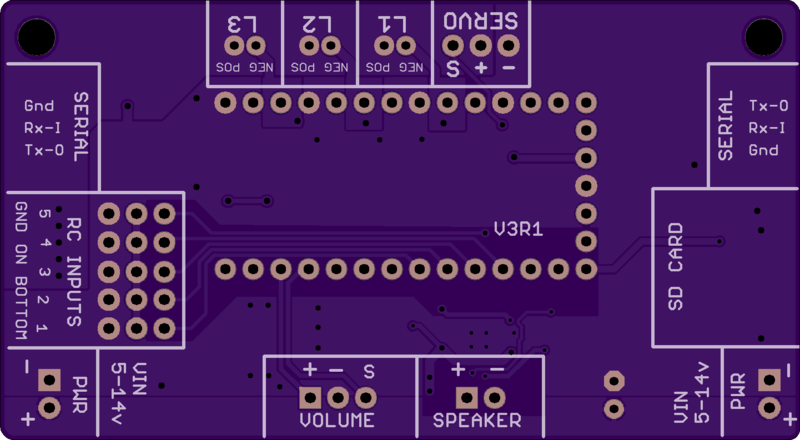 The Open Panzer Sound Card brings inexpensive, high quality, and open source sound functionality to RC models. It supports up to 32 GB of CD quality WAV files and provides 3 light outputs and a recoil servo output. The physical board is actually made up of two components. First, an off-the-shelf PJRC Teensy 3.2 is used as the onboard processor. The Teensy is then plugged into a socket on our custom carrier board that adds a Micro SD card slot (max 32 GB), a Maxim 9768 10 watt mono amplifier, and headers for external connections. 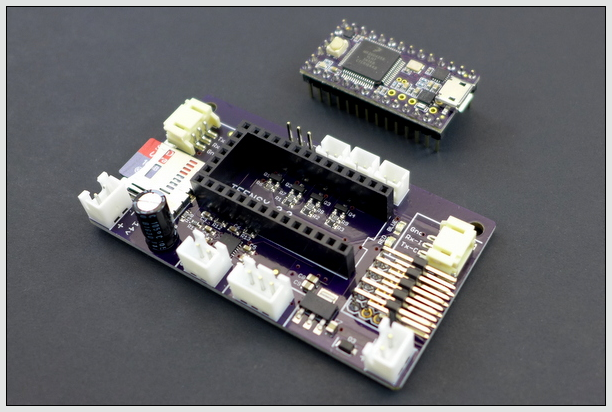 Changes in Version 3 include light and servo outputs, and mounting holes with identical spacing to the TCB. Changes in Version 2 include a 10 watt amp (up from 2.6 watt in V1) and a reverse polarity diode on the voltage input.